Very low maintenance concrete stairs and railings. 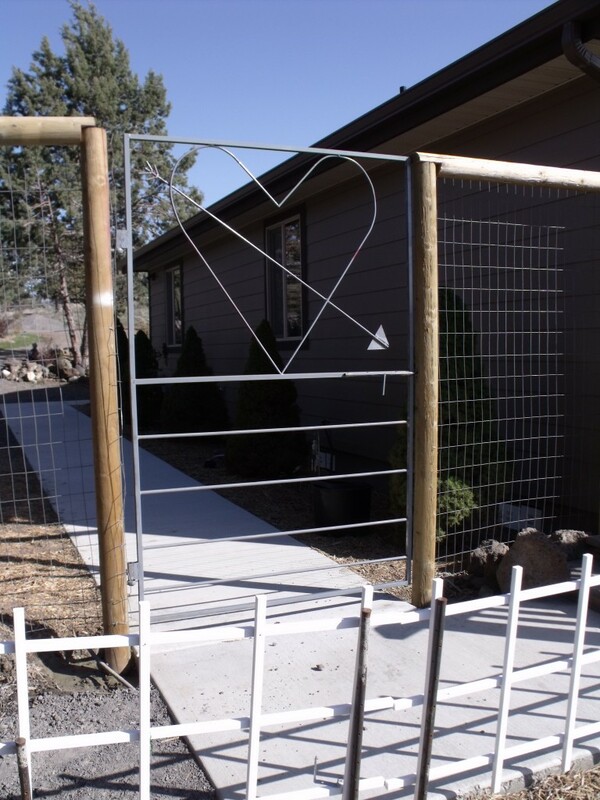 Custom gates can be fun and they can be any size. In this instance a standard gate would not fit the opening. 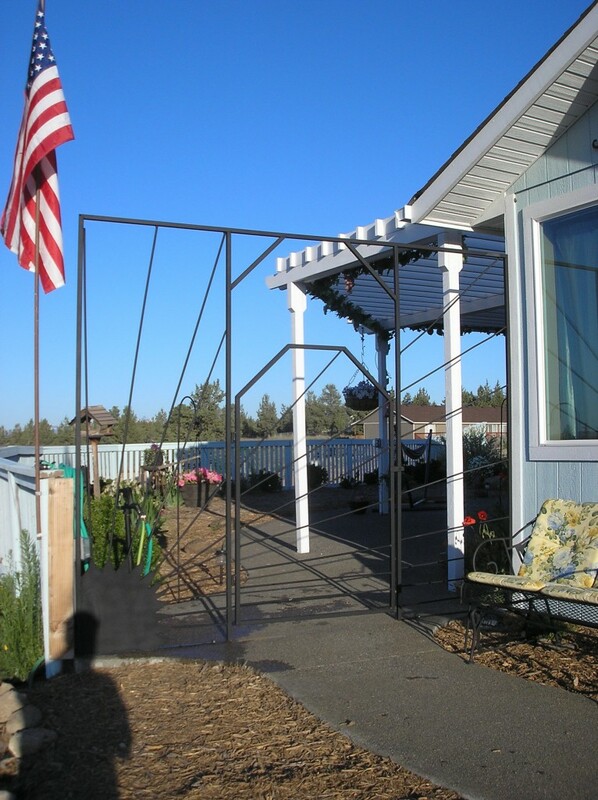 A gate and frame that fit the opening and the slope of the concrete. The frame is bolted to the concrete to stabilize it. The ground has a slope from left to right. The road is built up on the right to level making the fence shorter. A custom gate was in order to make it all come together. A peek at Mt Jefferson in the background. 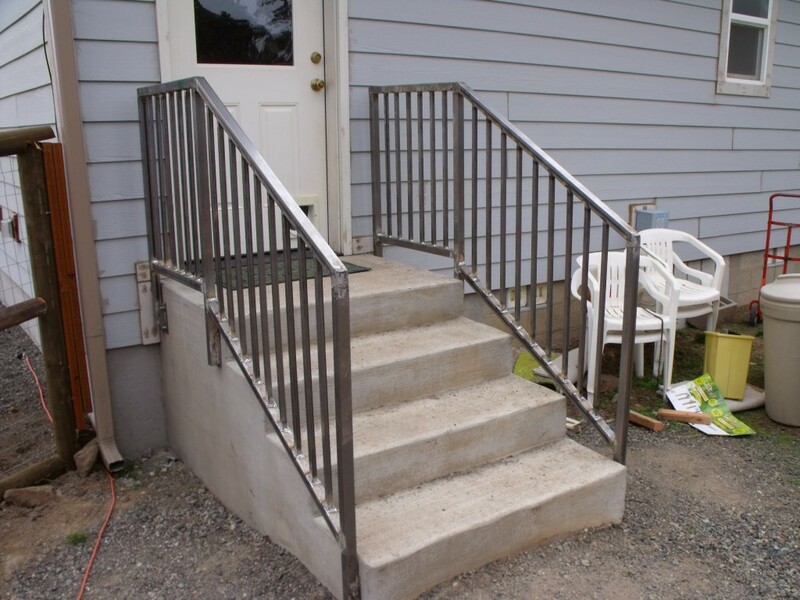 How much are the steel railings for concrete steps?